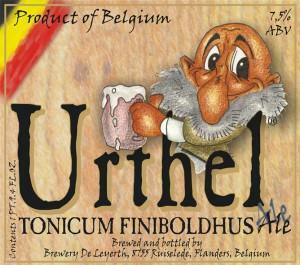 With over 450 varieties of beer, Belgium is a specialist in this liquid. Each beer is served in its own appropriate beer glass i.e. different beers have different types of beer glasses. The amazing variety of beer makes this country a beeraholic’s love interest. 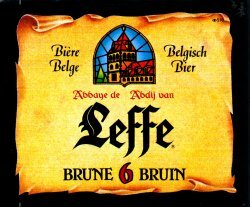 These include the white beer (wheat beer), gauze beer (blend of two or more Lambic beer), chocolate beer, kriek (lambic beer further fermented with cherries/berries), brown beers, golden beers, red beers, faro, Trappist beer (made by monks in monasteries in centuries old methods), Abbey beers et al. The most famous of Belgian Beers is the Lambic beer, a non malted wheat beer that is dry, tart and naturally effervescent drink that is better aged. Each of these varieties has a number of choices under them. The breweries in Bruges include De Halve Maan (since 1856. Famous for Bruges Zot), De Gouden Boom Brewery museum (since 1455. Brews Brugge Tripel and Blond, Steenbrugge Dubbel & Steenbrugge Tripel). A noted beer museum is the National Hops Museum located where earlier hops were inspected and stored. A lot of bars close on one or more days of the week. Also the timings when they open vary – some open at 4 pm, some at 5 pm and some are open from morning. It is better to check before heading for them. Many might need some amount of searching and walking for first time visitors. 1) ‘t Brugs Beertje in Kemelstraat – Normally crowded, small smoky place with a total pub feel and an unthinkable variety of beer. Beer lovers’ paradise. Look of the interiors – old. Open from 4pm daily except Wednesday. Weedays – open till 1am; Weekends – open till 2 am. 2) Den Dyver on Dijver– Restaurant great for full course dinner combined with the appropriate beer/wine. Better to reserve before hand. Not a place for a quick drink. Look of the interiors – modern. Closed on – Wednesday, Thursday noon. Open on all days from 11am to 11pm. Weekends open till early hours. number of beer variety compared to other bars here. Each order of beer comes with a side of cheese. Look of the interiors – old. 5) Brasserie Erasmus on Wollestraat – Good selection of beer especially drafts. Look of the interiors – modern. 6) Herberg Vlissinghe – Supposed to be the oldest bar/pub in the city (early 16th century). That is really old ! The innards of the pub look it too. There’s an enclosed garden for people to sit outside. Selection of beer is less. Normally not crowded. But the experience of sitting in such an old watering hole could provide a good kick. 7) De Zolder Keldercafe on Vlamingstraat – A cellar bar open from 5 pm. Located further away from the crowded tourist spots – hence a good walk required. Good selection of bottled and draft. Look of the interiors – old. Open on – Wednesday, Thursday, Friday & Saturday from 5 pm. Closed on – Monday, Tuesday and Sunday.